ABC Marketing creates websites using popular CMS platforms such as Wordpress, Joomla and Drupal upon request. When you want to control the creation, modification and removal of content from your website without needing to know anything about HTML, a CMS platform is the perfect solution. 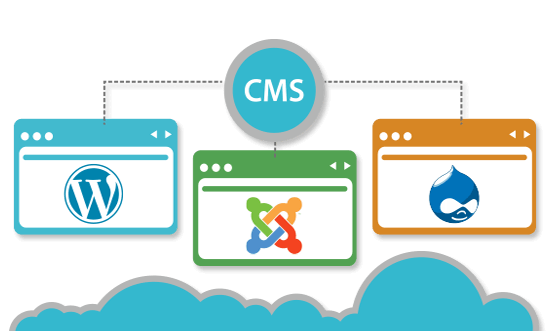 A content management system (or CMS) platform is an application or set of related programs that are used to create and manage digital content. Essentially the content of your website is held in a database where it can be created and managed through a user-freindly back end. ABC Marketing creates websites using popular CMS platforms such as Wordpress, Joomla and Drupal upon request. When you want to control the creation, modification and removal of content from your website without needing to know anything about HTML, a CMS platform is the perfect solution. Websites created using CMS platforms are very SEO friendly and easy to optimize through handy plugins and user friendly URLs. CMS platforms provide tools for one-to-one marketing as well which can tailor the content and advertising of your website to your customer's specific needs. You can set up interactive blogs and forums where users can create their own logins to interact. Probably the greatest strength of a CMS platform is the ability to manage an online store, turning your website into an ecommerce site. You can easily manage products and customers through the back end with the ability to manage your own inventory and sales. ABC Marketing's preferred CMS platform for ecommerce is Woocommerce through Wordpress.